Satellite Internet vs. Dial-Up — Which Is Better for You? Learn the differences between dial-up internet and satellite internet. Our breakdown shows which best satisfies your need for speed. Most internet access in America currently comes from cable companies. We’re used to large data allowances, fast speeds, and always-on connections without having to have much in the way of special equipment to get them. There are other ways of getting online, though, and we’re going to explore two of them to see why sometimes it might be better to take the road less traveled. Get ready for a showdown because this is satellite internet vs. dial-up. Which one is worth your hard-earned dollars? For those who don’t remember, a dial-up connection operates through a telephone line. These are the old modems that make the crazy beeps and screeches when they connect. Those noises are actually the modem dialing out to the Internet Service Provider, or ISP, and establishing a connection. Unfortunately, that connection will be extremely slow by modern standards due to the limitations of analog telephone lines. 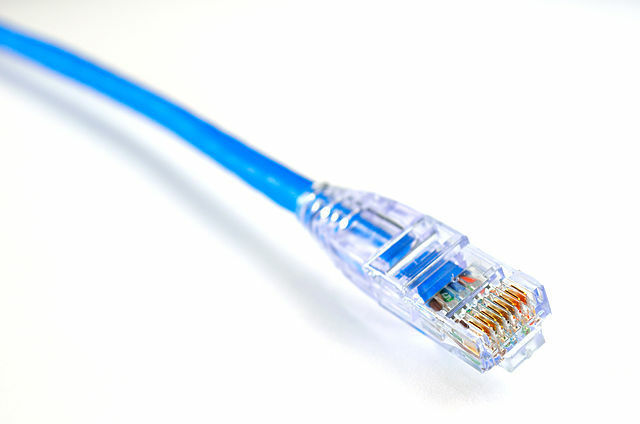 Dial-up connections are limited to just 56 Kbps (kilobits per second); modern broadband connections often average around 10 Mbps (megabits per second). A megabit is 1000 Kbps; that should give you some idea of the differences in speed we’re talking about here! Dial-up was largely made obsolete with the introduction of those faster, always-on broadband internet connections; only around 3% of Americans were still using a dial-up connection as of 2013, according to a report by Pew Research Center, with that number likely to continue falling. That doesn’t mean it’s entirely useless, though. There is one situation in particular that makes dial-up attractive: a rural, underdeveloped location. Some areas still don’t have the infrastructure for more standard cable or fiber internet connections; they generally do have phone lines, though, and that, plus a modem, is all you need to get online. These are some of the more popular dial-up providers. There isn’t really much to differentiate between them; pricing is generally about the same, and they all operate at roughly the same speed: 56 kbps. One way some providers do differentiate themselves is by offering a free tier. Among these top dogs, only NetZero makes this option available to consumers. There aren’t any special requirements for this plan, but it is limited to 10 hours of use per month. That isn’t much, but if you’re a very light user it might be perfect for you; it’s awfully hard to argue with a price tag of zero dollars. The speeds on dial-up are generally too slow for any heavy use cases (like streaming video) anyway. Satellite internet is exactly what it sounds like: an internet connection established via satellite, with no cables, telephone lines, or other infrastructure needed. It is similar to satellite TV in that the signal is beamed from a satellite in orbit to an antenna dish set up outside your home. These are broadband connections; as noted above, the speeds are significantly faster than what you would see with dial-up. The big deal with satellite internet, though, is that it is available basically anywhere with a clear view of the sky. This makes it great for the same reasons dial-up can be great: people in rural or remote areas that lack the infrastructure for broadband connections can still get internet access. There are some downsides with satellite, though. It can be pretty expensive, for one. A top-end Viasat (formerly Exede) package gets you 30 GB of data at 12 Mbps at a cost of $150. With Xfinity, a leading cable and internet provider, you can get 1 TB (terabyte, 1000 gigabytes) of data at 75 Mbps speeds for around $80. You also need to have that clear view of the sky mentioned above. Trees and other plant growth can cause interference; the same is true of rain and snow. If your home or other installation site is in a heavily wooded area or an area prone to heavy rains, satellite might not be the best option for you. Satellite plans tend to be a little more convoluted than the simple dial-up packages we looked at previously. There are no free options, and all satellite providers place limits on how much data you can use in a given month. These data caps are based on the time of day. “Anytime” data is available, well, any time. Typically, the providers will allow extra data use during the slower early-morning hours. Viasat (formerly Exede) is a bit different in that they don’t meter based on the time of day. Instead, once you use your “priority” data, they’ll slow your connection speed down, but you can still browse any time. The slower speed should still be plenty for everyday activities, even video streaming, though users are warned that the slower speed won’t be enough for HD video or multiple simultaneous devices. The speed and amount of data vary based on the package you select. As you can see, going for the higher tiers can get pretty expensive, but the data allowances of the lower tiers can be restrictive. Dial-up is slow. There’s just no way around it. Although providers employ “accelerators” and data compression to try to get around the 56 kbps speed limit, there really isn’t much that can be done to make dial-up attractive from a usage standpoint. And, while dial-up is often available in rural areas that may not have access to more modern alternatives, satellite internet is available in the same places and requires even less infrastructure since you don’t even need a phone line to use it; it is considerably more expensive, though. In the end, a choice between satellite and dial-up internet is going to come down to two things: price and how heavy your usage is. If you’re a light user who just needs to check a few emails or browse the web occasionally, you can probably live with the slower speeds of dial-up. Likewise, if you don’t want to spend a lot of money, $15 a month is going to be the most affordable option. If you’re someone who relies on being online to get things done, though, satellite internet is clearly better. The speed difference is huge, and intensive online tasks are going to be much less frustrating on a satellite connection. Even moderate users who can afford the monthly payment would do well to stick with satellite. Let’s be honest: there’s a reason dial-up is so rare these days.